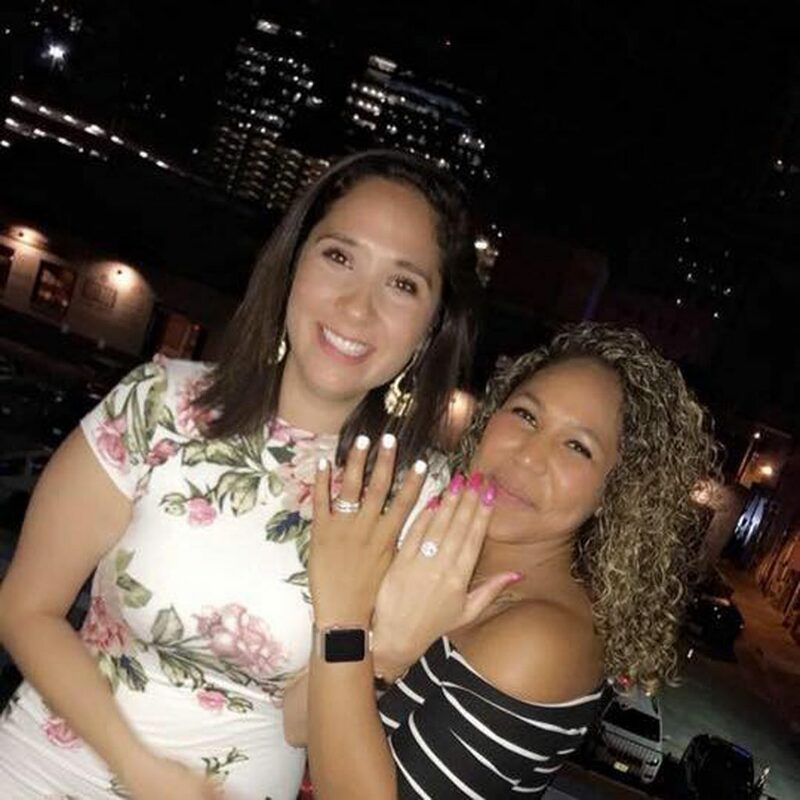 Adorable moment birthday celebration turns into a heart-warming double proposal after the couple both popped the question on the same day. 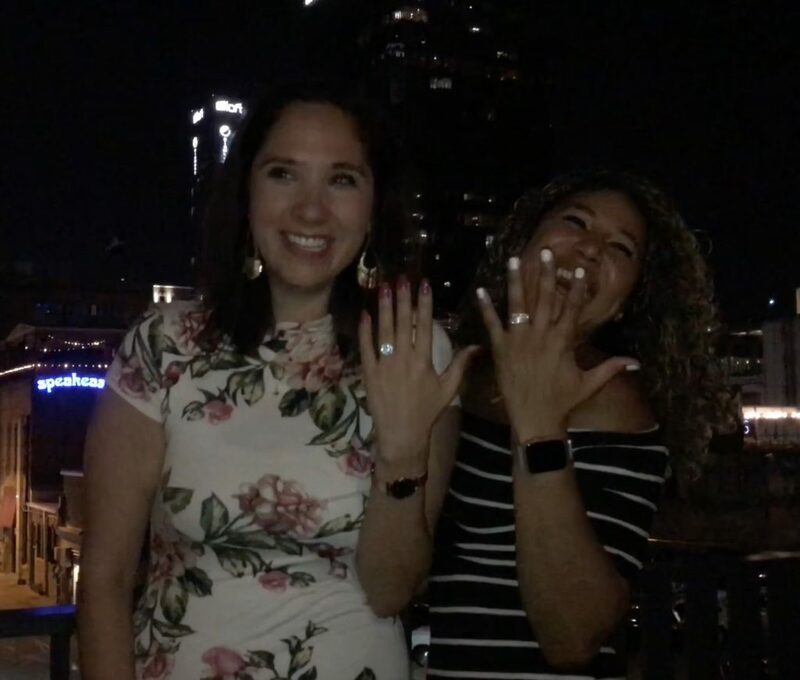 Vikki Alonzo from Austin, Texas, USA, had been secretly planning for weeks, unaware that partner Nicole Rodriguez, 32, was plotting a proposal of her own. 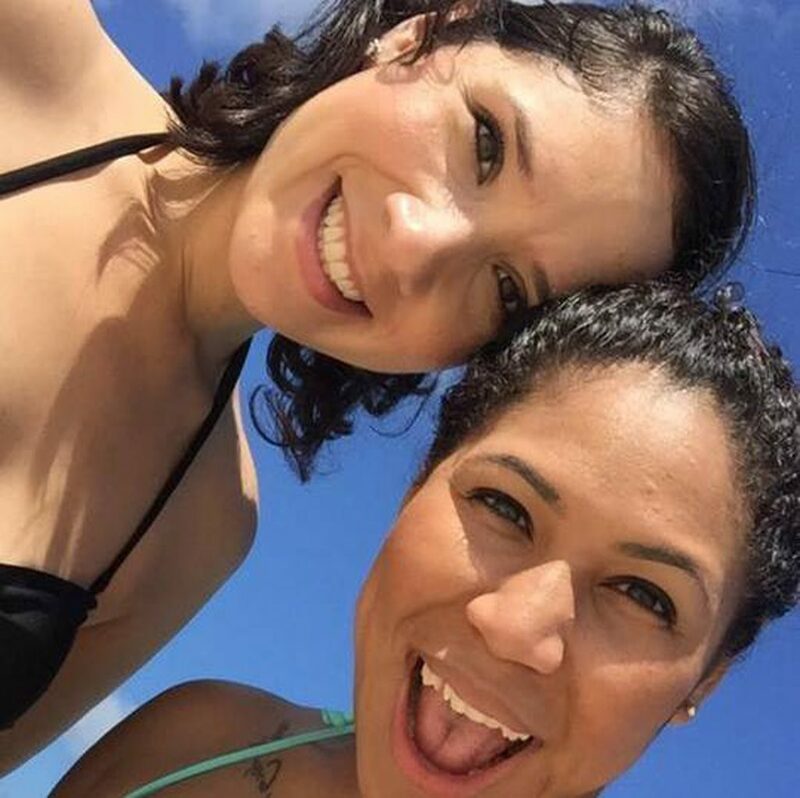 Planning to get down on one knee on her 28th birthday last weekend, she received a shock while reading a loving inscription from her future bride-to-be Nicole. Moments after reading aloud the words, ‘We both know we’re spending our lives together, I just want to make it official,’ Nicole was down on one. As she unveiled the ring, Vikki’s head jolted back in glee and overwhelmed with emotion she utters ‘Yes’, to the rapturous cheers and camera flashes from over 30 of their nearest and dearest. Shortly after, Vikki retrieves the engagement ring from her friend and gets down on one knee too. In disbelief the couple kiss and cry, unable to believe they both planned a proposal for the same night. Vikki said: “I wanted to do it on my 28th birthday, as I had a bunch of family in town to celebrate. Little did I know they were in town to celebrate Nicole’s proposal too. “I was hysterically laughing while opening up these gifts, box after box, Nicole knew it would drive me insane wasting that many boxes. “I’m a journal person, I love having journals and on the front of my one gift there was a polaroid camera, she told me she had written a note in the back. “I was reading the note, not comprehending anything at all, at the end she said about how she wanted to make it official that we would spend the rest of our lives together. “I gave her a kiss and she said, ‘Will you marry me?’ I couldn’t believe she was proposing to me right at that moment. “I was happy and excited reading the note, but dumbfounded in that moment, once I connected the dots I had a ‘glowy’ feeling of happiness. “After saying yes, all I could see were camera lights everywhere. Everyone knew what was happening, it was like the paparazzi were watching us. “We were blinded with all the flashing lights, and our family and friends were super excited when I got down on one knee too. “I grabbed the ring from my best friend and couldn’t even say the speech I had prepared as I was so in the moment. “It was such a perfect moment, I can’t believe she proposed to me when I was about to propose to her. “I had no clue that she was planning to propose, and she had no clue I was either.